Have you found yourself, as I have, hesitant to embrace new shows? When a show you loved gets hacked after one season (or worse, mid-season!) you grumble and curse the network under your breath. "How can you cut _____________, but keep trash like ______________ on the air!?!?!" And then, when it happens again... and again... and again... you start to guard your media-heart a little more. Anyways, the other day I was reading about a new series being created by one of my favorite writers: Aaron Sorkin. Sorkin created shows like The West Wing and Sports Night, and wrote the amazing screenplay for The Social Network. He is currently working on a new show that will be similar to Sports Night but in the context of a News Channel. Sounds awesome! Another show he created that I loved, but got dropped after only one season, was Studio 60 on the Sunset Strip. And I found myself ticked off all over again that a brilliant, smart, funny and good show like that was not picked up by for more seasons. Which got me to thinking: what other shows do I wish didn't die so early? 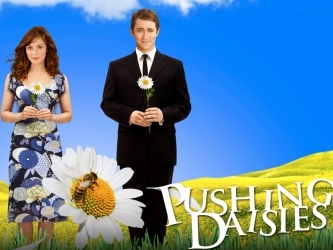 Which then got me thinking: what shows had a great run, but I still miss because they were just so darn good? So, here's a list of some of my favorite television shows that I miss. Some because they were killed too early, and others that had a great run but I still miss them anyways. Studio 60 on the Sunset Strip - As stated, a smart, funny and well written "behind the scenes" dramedy that took place on a variety-show. Came out at the same time as 30 Rock, and with similar premises but drastically different approaches, 30 Rock (which is great, BTW) came out the clear winner. But if you have Netflix, do yourself a solid and go watch the 22 episodes of this great show that only lasted one season. Perhaps if they would have dropped "on the Sunset Strip," more would have watched? I wish. 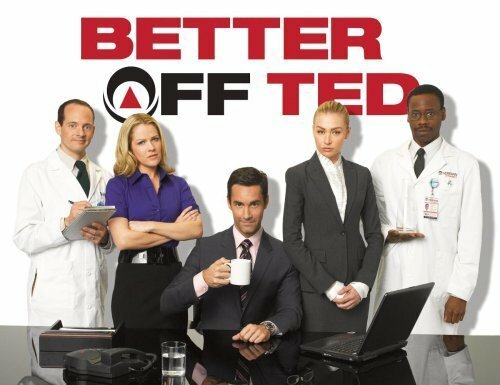 Better Off Ted - Witty and chalk full of satirical humor, this comedy was a blast! Ted, the protagonist, would narrate each episode by breaking the fourth wall, and trust me, it sounds corny but they made it work. All while also mocking big business and mega conglomerations. Also, brilliant acting by the wonderful Portia de Rossi. This is also on Netflix, so please... go enjoy! Lost - Really? Was there any doubt this would be on my list? This show may have done more to change TV since CSI. Crazy original, brilliant cast, interesting and engaging story lines, mind-bending plot twists, all covered in a sweet sauce of love. 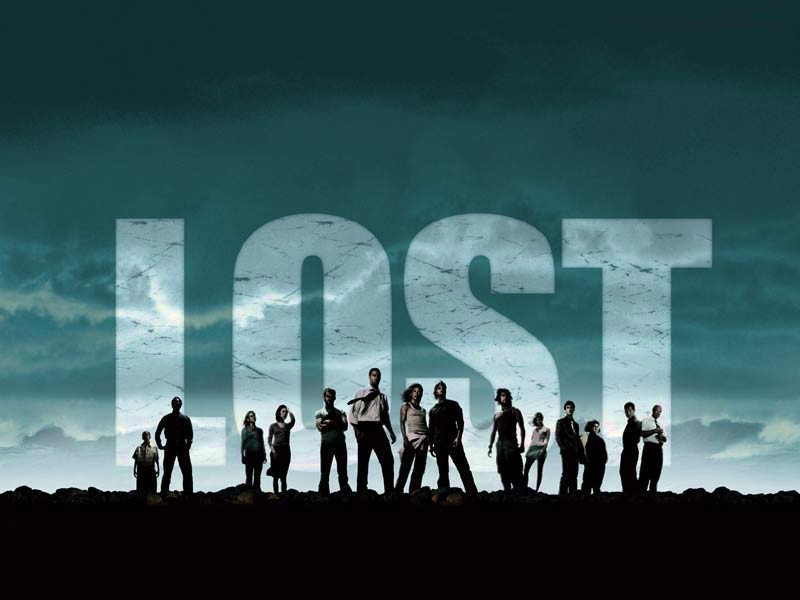 TV, for me, was never better than when LOST was on. 6 seasons of awesomeness, and I still miss it. The West Wing - After Lost, this probably ranks as my favorite show of all time. I'm a sucker for Sorkin, what can I say. I fell in love with the characters in this show like no other. A fascinating look in to the world of politics, for 7 seasons The West Wing was America's other (and usually more interesting) White House Staff. Gilmore Girls - After you stop snickering at me, listen to me say that this was a great show. 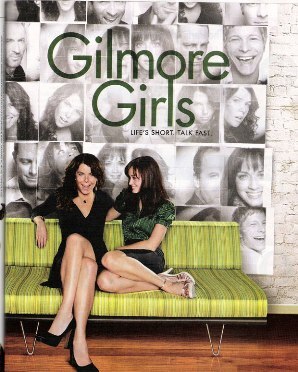 Created by Amy Sherman Paladino, and written in the style of Sorkin (with the "always moving, always talking characters) Gilmore Girls was an honest look at the life and relationship between a (single) mom and her daughter. Lauren Graham is incredible, and if you like her at all on Parenthood then trust me, she was WAY better on Gilmore Girls. A massive thanks to my wife for getting me hooked on this show. We both mourned when it went off the air after 7 seasons. Have you had a "favorite show" that died too early? And what are some of your all-time favorites from the past that you can't help but miss?